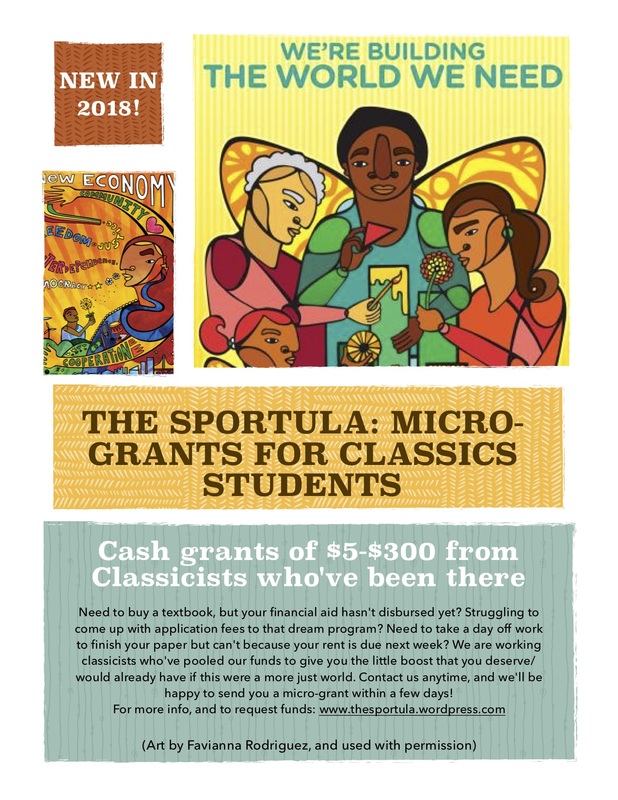 The Sportula provides microgrants for any need and any amount up to $300 to students taking Classics courses or students who are interested in Classics, especially students from historically marginalized and/or working-class communities. Students can find out more information and ask for grants through their website: https://thesportula.wordpress.com/. Support the Sportula through this virtual 5k, Greased Lightning! Any activity submitted before December 1st is eligible for prizes! Contact amypistone@gmail.com for questions.